Manchester ‹ Series 12 Reversions ‹ Flog It! The antiques programme comes from the Museum of Science and Industry, a museum devoted to Manchester's glorious past. Browse content similar to Manchester. Check below for episodes and series from the same categories and more! Our valuation day venue is certainly making the right noises. and the city's achievement in the world of science. As a music fan, it's really great to be here in Manchester. Morrissey to The Stone Roses, originate from this patch of soil. and so does our queue here today. Let's hope our experts are in full voice. ..and the songbird herself, Anita Manning. We've squeezed hundreds of people in here today. And talking about squeezing, let's catch up with Anita Manning. Elaine, Steve, welcome to "Flog It!" I love this type of threepenny bit box. I was drawn to it, and I know what's inside it. Steve, have you had a go at it? We've managed to get a few notes out of it, but, no, we can't play it. The dog runs a mile! I love concertinas. Let's pull it out and have a closer look at it. This is a Lachenal concertina. and it was started by a Swiss man called Louis Lachenal in 1830.
and he was the most prolific of concertina-makers. So about 40,000 of these were produced every year. So that's telling us something. They aren't the Rolls-Royce of concertinas. They're not the best of concertinas. So we've got to take that into consideration. We have a registration mark. because that can tell us exactly the year that it was made. I know you've done a wee bit of research on this, Professor. -it works out roundabout 1875. -So it is an old one. -It IS an old one. It's got a good age about it. We have some losses here on the strapping. Yeah, we know, that's always been there. The collectors will take that into consideration. -let a collector have the opportunity of buying it. -We'll put it in with an estimate of £100-£200. -Elaine, would you be happy with that? -We'll put a reserve on it of £100. -100, yeah. Right, let's go for it. -Shall we go for it? -Yeah, let's go for it. a fine and lovely and cheerful tune again. It'll be interesting. I'd love to hear it being played, I really would. I think the dog would, as well. she was talking about, Anita. Next, more music history. Can you guess whose autograph Anne hunted down in 1963? -So, here we are in the Power Hall. there's the signature of a very powerful man in the world of music. -Shall we turn it over and have a look? Tell me, Anne, how did you get Paul McCartney's signature on this card? and I was dancing to The Beatles. Obviously, it was before they became famous. And I just got his autograph. I could have got all the autographs, but I just chose him. -And it was a small club, was it? And they were playing, and you were dancing away, in your miniskirt? And do your remember the music they were playing? I think it was Please Please Me. -And I know they sang Twist And Shout. How exciting! And what's this, the ticket it's on? It's a Christmas party at the Grand Hotel. -but I had that in my handbag at the time. -So I got it out, yeah. -..ready for him to sign it for you. I didn't... You know, you don't think of getting autographs, do you? -You don't, no. Did you have any idea they were going to be huge? I'm sure this is priceless in some ways, but put a value on it we must. I think if we put a value of £80-£120. If we put a reserve on it, just to protect it. If we said £70 reserve? -Discretionary, is that OK with you? -you will have something to Twist And Shout about! are sought the world over. Could a simple signature make more than £120? Find out later. carrying unwanted antiques and collectables. Many of them are small, in handbags and carrier bags, but look at this. a massive, great big suitcase on wheels. Let's be nosey. I spotted you in the queue and I said, "Are you going on holiday?" -Oh, no, my towel's out, don't! -Are you both here together? Just good friends, just good friends. OK.
Come on, let's get in there. Do you need a hand? -Oh, that's nice. It's a little inlay cabinet, isn't it? With a bit of a brass inlay. -This is clingfilmed up now. -Oh, that's nice. Look at that. A wonderful little serpentine front to it. Is this something you want to sell? -Well, it looks complete, as well, doesn't it? -So how did you come by this? -I bought it from the internet. -How much did you pay for it? -There is one thing, there's only 15 gilded glasses. There is one, but it's not gilded. It's very impressive when you open the cabinet. with the trailing grape and vine. You know, it's a nice little touch, it's a beautiful little touch. with a reserve at six. -And hopefully it might make £1,000. that it'll make more money. Will the gamble pay off? Our auction today comes from Knutsford in Cheshire. in the 11th century, leading to the name Cunetesford or Knutsford. Five, I'm bid. 520. Phone's back in. selling 100 lots an hour in this busy sale room. their valuations are about to be put to the test. So the pressure is on. let's hope we hit the right notes with this concertina. but we do have our expert, Anita, and we do have the concertina. -it wasn't in the best of condition. We really have to take that into consideration. I'm hoping it will do well. It was a little cheeky come and buy me, was it? You see, you have been pushing the buttons, haven't you? because let's hand over to this packed saleroom. Here we go. It's the Lachenal & Co of London, 48-button concertina. I've got commission interest in this lot, as well. 80, 5, 90, 5, 100. At £100 I start. At £100. Bid for me at 100. Who's going to take 110? 110 online. 120 in the room. 130, 140, at 140 now. Oh, it's slowed down a bit, hasn't it? Come on. At £160. The bid's against you online at £160. 170 is back in. 180 I have. On commission at 180. It's against you online. Try another. £190, commission's out. Room out. It's online. -That was just about the right estimate and the right price. Top end. Brilliant, brilliant. Elaine will be happy. -I think we should let her know, don't you? Well, so far, so good. Things have been flying out the door. This is where it could go horribly wrong. It's my turn to be the expert, and I've just been joined by Tracey. How have you been since we saw you at the valuation day? Really good, thank you. Looking forward to it. Yeah. It's that wonderful decanter set with glasses. It is complete. -One's wrong, though, isn't it? One's slightly different. We need to find a new home for it. We're going to do that right now. This is it. travelling decanter set. Where will I go? Start me at 600. Five? Four, start me. Who's in at £400? Anywhere? Get the ball rolling at £400. Bid me now. -It's not going to sell, is it? Start me off at £400. Last call, last chance. Last opportunity for this lot at £400 to start me off. -It's got the wrong look, hasn't it? -What a shame. Never mind. -Gosh, that's auctions for you. I told you there'd be one or two surprises. I thought it would, you know, I thought I'd be bringing it home! Well, you can't win them all. but it could all be different on another day. in the signature of one of music's greats. and I do mean a fab one! Part of The Fab Four - Paul McCartney's autograph. -Fabulous. From The Oasis Club. -And they only played there two or three, four times, something like that? Well, I only liked Paul McCartney at the time. -Oh, I bet you wish you liked all four of them now, don't you? -cos there's a lot of pop and rock memorabilia here today. I can't wait to see this, let's get a number one smash hit with this. Going under the hammer now. signed on the back of a ticket stub. -I can start the bidding at £130. Any advance? At 320. 330 on commission. At 330, is a commission bid. Anybody more? commissions are out. At £340. It's on the internet. At £340, anybody got more? At 340, I am selling at £340. with the ticket on the reverse side. And that's what it's all about. -It's the social history of what was going on there and then. One of only four times they played there, and you were there. What a good result. Are you happy with that? -I thought it would be about 70. £340 for just two words. That's how important our musical legacy is to some collectors. Well, that's it. It's all over. 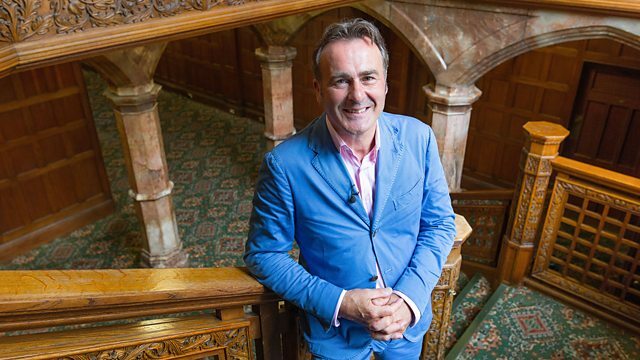 Another day in the auction room for Flog It!. Some highs and some lows. But that is what it's all about. You can never predict what it's worth in the saleroom. So until the next time, from Knutsford, goodbye.